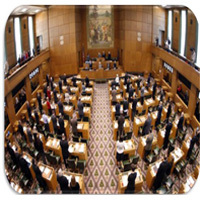 Support the advancement of the Expanding Access to Diabetes Self-Management Training (DSMT) Act in the U.S. House and U.S. Senate. This important legislation improves access to diabetes self-management training for Medicare beneficiaries. Click on the button below to send your letter today! Representatives Tom Reed (R-NY) and Diana DeGette (D-CO) introduced the House version of the Expanding Access to DSMT Act (H.R. 1840). This follows the recent Senate introduction of S. 814 by Senators Jean Shaheen (D-NH) and Susan Collins (R-ME). Allow the initial 10 hours of training during the first year to remain available until used and allowing 6 additional hours of DSMT services during the year in which the initial 10 hours are used. Remove the restriction related to coverage of DSMT and Medical Nutrition Therapy services furnished on the same day. Revise the Medicare Benefit Policy Manual to allow DSMT services to be furnished in a community-based location. We need the help of all diabetes educators to build support for this legislation on Capitol Hill. Click here to send a letter to your Senators. You can also call or Tweet your members of Congress urging them to support this important legislation by becoming a cosponsor of the bill. On March 14, Senators Jeanne Shaheen (D-NH) and Susan Collins (R-ME) introduced the Expanding Access to Diabetes Self-Management Training (DSMT) Act (S. 814) in the U.S. Senate. We anticipate the U.S. House of Representatives to introduce their version of this legislation in the coming weeks. On August 22, Senators Jeanne Shaheen (D-NH) and Susan Collins (R-ME) introduced the Expanding Access to Diabetes Self-Management Training (DSMT) Act (S. 3366) in the U.S. Senate. This is the Senate companion to legislation introduced in the U.S. House of Representatives on May 10 by Representatives Tom Reed (R-NY) and Diana DeGette (D-CO). The legislative text is the same in both the House and Senate versions. We need the help of all diabetes educators to build support for this legislation on Capitol Hill. Click here to send a letter to your representative and senators. You can also call or Tweet your members of Congress urging them to support this important legislation by becoming a cosponsor of the bill. On May 10, Congressman Tom Reed (R-NY) and Congresswoman Diana DeGette (D-CO) introduced the Expanding Access to Diabetes Self-Management Training Act (HR 5768) to Congress. You may read the full text of the bill here. Expanding access to DSMT services by permitting physicians and qualified non-physician practitioners who are not directly involved in managing an individual's diabetes to refer them for DSMT services. Allowing the initial 10 hours of training during the first year to remain available until used and allowing 6 additional hours of DSMT services during the year in which the initial 10 hours are used. Allowing 6 additional hours of DSMT each year after the initial 10 hours are used. Removing the restriction related to coverage of DSMT and Medical Nutrition Therapy services furnished on the same day. Excluding DMST services from Part B cost-sharing and deductible requirements. Revising the Medicare Benefit Policy Manual to allow DSMT services to be furnished in a community-based location. Establishing a 2-year demonstration of virtual DSMT, potentially paving the way for future Medicare coverage of virtual DSMT services. HR 5768 cannot pass without your help! 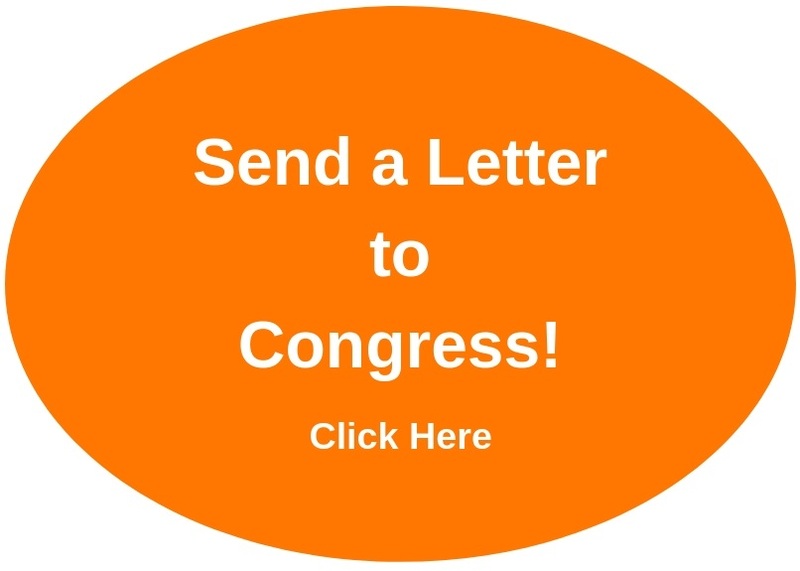 Click here to send a letter to your congressional representative urging them to support and become a co-sponsor of HR 5768. Take action on HR 5768 today! CHICAGO – February 9, 2018 – Today marked a big win for people in the diabetes community, after Congress included language from the Protecting Access to Diabetes Supplies Act in the FY2018 and FY2019 budget deal. The language will make several effective changes to the Competitive Bidding Program (CPB), including strengthening the 50 percent and anti-switching rules. This comes after AADE released several beneficiary surveys dating back to 2011, showing the program put people with diabetes at unnecessary risk. AADE surveys in 2011, 2013 and 2017 showed the current program reduced beneficiary choice and access to commonly used diabetes testing supplies (DTS). A 2016 National Minority Quality Forum report showed a direct link to increases in mortality and complications, inpatient admission and supplier costs. Under the CBP, suppliers are paid the same amount by Medicare for Diabetes testing supplies regardless of what they supply to a beneficiary. As such, suppliers have a powerful economic incentive to maximize profits by offering the least expensive supplies obtainable. Congress was concerned that these incentives would lead suppliers to no longer offer many of the test systems commonly used by beneficiaries, and that beneficiaries therefore might not be able to find replacement supplies for their current test systems. Congress enacted the “50 Percent Rule” to ensure that beneficiaries would continue to have access to the same test systems that they used prior to implementation of the CBP by requiring that mail order suppliers make available at least 50 percent of all types of DTS on the market before implementation of the CBP. CMS established the anti-switching Rule to protect beneficiary and physician choice of glucose meters. This rule requires suppliers to furnish the test system requested by the beneficiary and prohibits contract suppliers from influencing or incentivizing beneficiaries to switch their current glucose monitor and testing supplies brand to another brand. Allowing beneficiaries to break the claims cycle by requiring suppliers to contact and receive a refill order from the beneficiary not more than 14 days prior to dispensing a refill. Requiring suppliers to verbally provide beneficiaries with an explanation of the beneficiary’s rights, including the beneficiary’s right to receive DTS compatible with the beneficiary’s blood glucose testing system, the right not to be influenced or incentivized to switch blood glucose testing systems, the right to obtain strips from another mail order supplier or retail pharmacy, and the right to reject unwanted DTS. On December 20, AADE hosted a first of its kind webinar, Political Policy Recap and Look Ahead, which featured representatives from AADE's Washington, DC Lobbying firm, Baker Donelson discussing the major political, legislative, and regulatory highlights of 2017, in addition to outlining the policies AADE will be watching in 2018. If you missed the webinar and would like to watch it, you may do so by clicking here. Since implementation of the competitive bidding program (CBP) for blood glucose monitoring (BGM) supplies purchased through mail-order suppliers in January 2011, reports had repeatedly surfaced suggesting that product choices were limited and that beneficiaries may not have had access to the full range of products that were available before the program began. In 2011 and again in 2013, the AADE conducted studies to evaluate the extent to which Medicare’s contract suppliers offered and made available different brands and models of BGM supplies. In those studies, diabetes educators surveyed contract suppliers authorized to sell BGM supplies to Medicare beneficiaries through mail order to determine which products each supplier offered and made available, and compared that information with the information available in the Medicare supplier database. Many of the products available to Medicare beneficiaries before implementation of Round 1 were no longer available through NMO suppliers. Suppliers do not provide consistent information about inventory to prospective customers. In addition to AADE’s studies and work that a number of organizations such as the National Minority Quality Forum have done on this issue, members of Congress are concerned about the problems with the CBP including the accuracy of certain BGM strips people with diabetes are receiving. Congresswoman DeGette is also sponsoring a piece of legislation called the Protecting Access to Diabetes Supplies Act of 2017. H.R. 3271 strengthens protections for Medicare beneficiaries purchasing blood glucose testing equipment and supplies through Medicare's National Mail Order Competitive Bidding Program. H.R. 3271 would address these shortcomings so that in future, CBP rounds beneficiaries have access to preferred and familiar test systems. H.R. 3271 will strengthen the "50 Percent Rule" first established by Congress in 2008. By requiring suppliers' bids to include at least 50 percent of the types of test systems on the market before the implementation of CBP, this rule seeks to ensure that beneficiaries are likely to have access to the testing systems they used before CBP. However, a recent study by the American Association of Diabetes Educators showed that under CBP, beneficiaries actually have access to far fewer types of testing systems. H.R. 3271 will require suppliers to demonstrate that they have an intent and ability to maintain an inventory of products consistent with their bid and require suppliers to adhere to the 50 percent rule throughout the life of their contract. Further, this bill bolsters the Anti- Switching Rule, a beneficiary protection established by CMS through a regulation that prohibits suppliers from encouraging beneficiaries to switch from one testing system to another. H.R. 3271 would codify and enhance the Anti-Switching Rule by ensuring beneficiaries know their rights to receive compatible test strips with their blood glucose monitors. Medicare’s largest mail order supplier of diabetes testing supplies (DTS), Arriva Medical, is closing its doors on December 1, 2017. Because Arriva supplies a majority of DTS for the Medicare mail-order program and is the only supplier of One Touch, their void in the marketplace and to our patients could be devastating. Patients may not be able to get the supplies they need in a timely fashion and they will need to find alternative suppliers of their DTS. AADE has spoken to CMS about the issue and is working to gather more detailed information as to what steps you and your patients can take to prepare. However, initially, there are some immediate steps that can be taken to assist patients. Or you can call Medicare at 1-800-Medicare (1-800-633-4227). If you are not a Medicare beneficiary, please contact your insurance provider for information regarding a new supplier. You can also purchase diabetes testing supplies at a local pharmacy or other supplier, but out-of-pocket costs may differ based on brand and supplier. You and your new supplier can obtain your prescription from your physician. If you need to access your prescriptions or other records after November 30, 2017, please visit www.arrivamedical.com for further instructions. AADE will keep you informed about this issue and developments related to getting your patients their supplies. 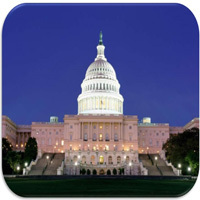 AADE will hold its annual Public Policy Forum on June 8 and June 9 in Rosemont IL. In past iterations, this event has been held in Washington, DC with a special focus on the promotion and advancement of the federal legislative agenda. However, with the ongoing trend of government decentralization, it has become increasingly important to advocate at the state and local level. With this in mind, the AADE Advocacy team crafted a Public Policy Forum program designed to train members on how to engage with policymakers locally. In 2017 over 80 participants from 37 states joined us at the Forum to hear from retired legislators; active lobbyists; the Directors of the Illinois Department of Public Health, National Minority Quality Forum, National Health Council; and a panel of AADE member-activists who have taken the reigns of diabetes-related advocacy in their home states. If you couldn’t make it to the 2017 Public Policy Forum, or if you want to review a favorite presentation, you may view the presentation slide deck here. Visit the AADE Advocacy Forum on MY AADE NETWORK to connect with other diabetes educators to discuss legislative and regulatory issues, ask questions, and find support for grassroots activities. 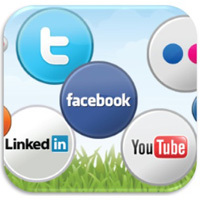 Tweet your Members of Congress and encourage them to support AADE's federal initiatives!